A role model for many a left hander Saeed Anwar was a stylish genius full of grace, elegance & magical touch. Saeed dominated bowlers & more often than not got the innings off to a flying start, but more importantly & effectively converting the starts that he got into bigger more meaningful scores for the team cause. Saeed held the highest score in an ODI for approximately a decade. 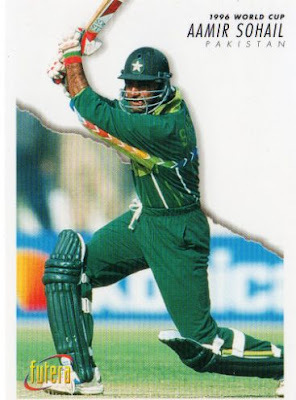 Saeed was the leading run scorer for the Greens in 1996, 1999 & the 2003 World Cup. Saeed also claimed 28 man of the match awards in his career in the one day format which was the highest by anyone from his country, a record which has just been over taken this year by one of his former opening partners. Saeed was an educated player too so a well polished individual in different walks of life. One of the first names when putting pen to paper in a Pakistan all time XI. 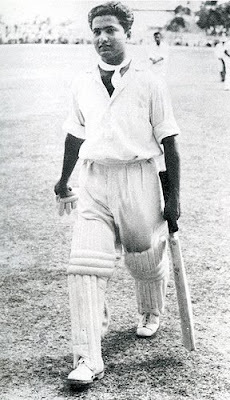 His innings in Bridgetown in 1958 will stand as one of the best of all time where he spent over 16 hours at the crease for 337 to save a test match after trailing by a deficit of over 400 against the West Indies following on with approximately 3 days of the test left. The visitors had a defeat written all over them, but Hanif’s marathon knock helped them get out of jail. It was the sort of performance that represented the hope of a country, inspired many & showed they were not one to go down easy when Pakistan Cricket was in its infancy. It was the longest ever stay at the crease in international history up to now & the only score of above 300 in the second innings up to now. Hanif also held the record for the highest first class score of 499 a year or so later which Brian Lara ended up over taking playing for Warwickshire in 1994. It currently stands as the 2nd of all time. Hanif was known for having an immaculate defence, effortless stamina & staggering concentration levels. The ‘little master’ could also play a more attacking role from time to time. 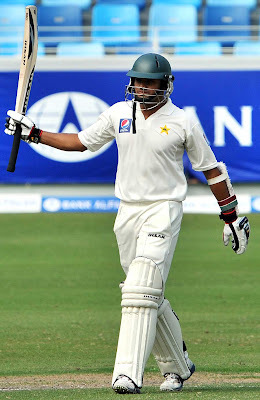 Mudassar scored a century in just his 2nd test with 114 from 449 deliveries against England in Lahore which incidentally was the slowest of all time, suggesting the graft & dedication which had to be put in on a pitch where runs had to be earned. 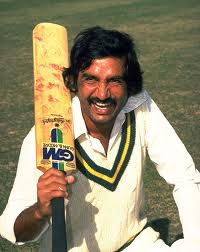 Mudassar ended up with 10 3 figure scores in his career in the late 70s & 80s. Mudassar was the leading run scorer averaging over 100 in a 6 match test series against India in 1982-83 which Pakistan won 3-0 in an era of Kapil Dev & Sunil Gavaskar playing for the neighbourhood rivals. During the series Mudassar opened & carried the bat becoming the first father-son family to do so after his father Nazar Mohammad (the man who faced the first delivery by a Pakistan batsman). 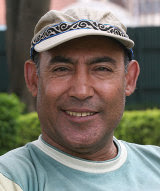 Mudassar was part of Imran’s XI that won their first test series in England in 1987 with notable performances in the 4th and 5th test of the series. A more than fine one day player too with 8 MOM awards as his utility in the 3 different facets of the game came in handy. Mudassar has gone into coaching now, working with associate players at the ICC Global academy in Dubai. Previously he has coached Pakistan “A” teams. Also, has worked with younger players at the NCA. The son of Hanif who followed his father’s footsteps to have an impressive average in the 40s in an era of top class bowling. 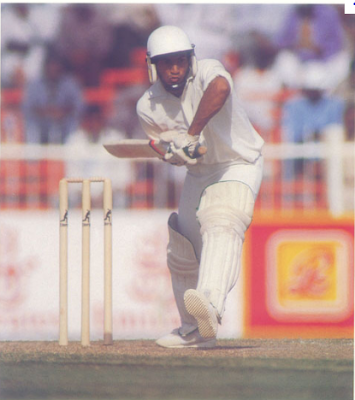 Shoaib scored 5 of his 7 test centuries against the New Zealand seam attack. Shoaib was joint MOTS when Pakistan beat New Zealand 3-0 in 1990 with 3 centuries in 3 tests during the course of the home hosted series. Shoaib also is one of 4 Pakistan batsmen to play a 700 minute plus innings which came against New Zealand in 1989 where he scored 163 from 516 deliveries in a drawn encounter batting second. Shoaib also had his moments in the shorter formats where he carried the bat for 126* in a one day match which was his career best in the format. Junior Mohammad was a dogged workmanlike batsman who went about his business cautiously, renowned for his powers of concentration, endurance & relentless restraint in shot making. He was a notorious batsman, a cunning competitor who never gave in lightly trying to make the most of his chances at the top level, a figure of frustration for opposition fielders, bowlers & viewers, who had the capabilities to pride his wicket preciously, dig in deep & take time out of the game. He generally played the ball of its merit & performed the basics best, leaving anything outside the off stump & protecting his stumps other times. Never one to be the most popular or attractive of players, but he knew what was required of him & found a method of getting it done. Gritty, determined, mentally tough. Taufeeq was MOTS when Pakistan beat South Africa 1-0 in the 2003 home series. He also has a test century against South Africa in South Africa so has delivered in conditions that Pakistan have found more challenging as well. Taufeeq made the highest score by a Pakistan opener since Sohail’s double century in Old Trafford in 1992 when he made a painstaking 236 against Sri Lanka in Abu Dhabi in the October of 2011. Taufeeq has featured in the most 100+ stands for the first wicket by a Pakistani opening pair alongside Mohammad Hafeez. The Lahore opener has the ideal temperament to seeing the shine off the new ball. Umar plays a delicious mean straight drive which is struck straight as an arrow along the carpet with the full face. Taufeeq has shined & cemented his place as a regular since he was recalled when Misbah ul Haq came to the helm & during 2011 when Pakistan were undefeated in a bilateral test series with 4 series wins along the way & their highest ever win/loss ratio in a calendar year Taufeeq concluded the year with the most aggregate runs by a Pakistan batsmen with 3 centuries & 3 fifties in 19 innings. 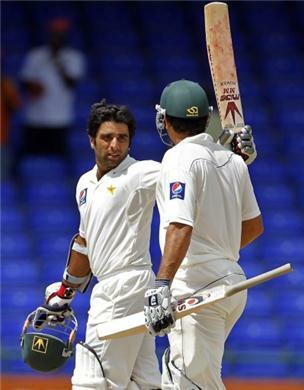 On the whole, one of the better test openers Pakistan have produced over the years who has been a pivotal figure at the top of the order in Misbah ul Haq’s record breaking unified high achieving test side post November 2010, a test outfit which can be argued as the best Pakistan have produced if not the best for a very long time. 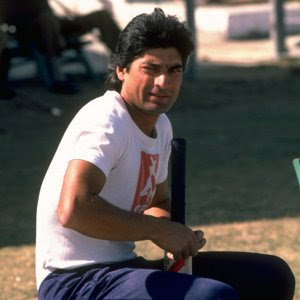 Sohail was one of Imran’s cornered tigers in the triumphant 1992 world cup winning side as the left handed opener was the 3rd leading run scorer in the tournament for the champions with 2 half centuries & a century down under. 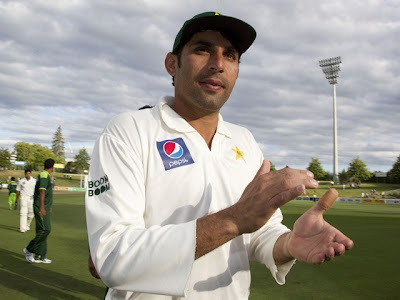 Later that year in his debut test series Sohail made a double century in Manchester during the course of the 5 match test series which the Greens won 2-1 under Javed Miandad. His overall average might be a modest one, but in him Pakistan found a partner to Saeed Anwar to bank on. A handy slow left arm orthodox bowler as well who claimed the best part of 100 international wickets, a clever cricketing brain who was awarded captaincy to end up captaining them to their first test match win in South Africa. An educated player, appearing as a man of considerable integrity & dignity in a time period where match fixing was rife. Since packing up & hanging up the boots Sohail has served as a chief selector, advisor for openers, television commentator, pundit & more recently the sports minister of PMLN. 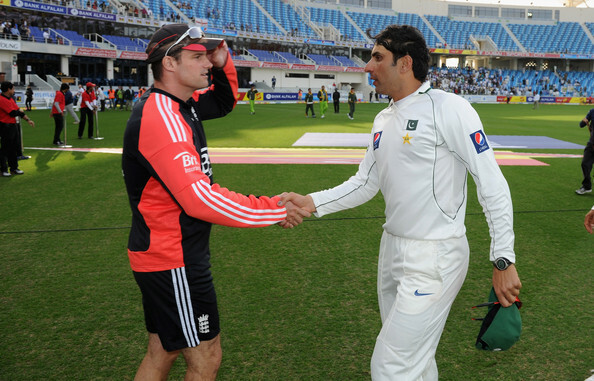 Sohail has worked a tremendous amount with the likes of Taufeeq Umar & Mohammad Hafeez who he has always rated highly. Sohail had 14 player of the match awards in his career, but looking back now he feels that in all honesty he slightly underachieved. 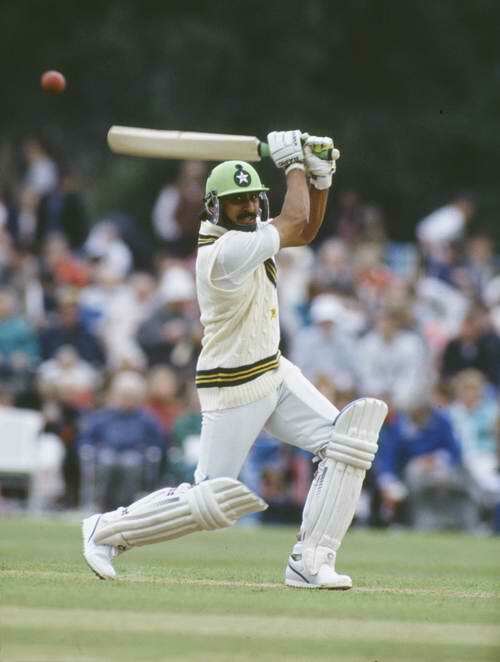 His 3 highlights as publicly/telephonically said himself were the 1982 lords test where he scored a double century at the prestigious venue in an emphatic victory, seeing the captain he played under lift the world cup title in 1992 & being coach when Pakistan had their finest hour, whitewashing the world number 1 ranked side. All came against England a decade or two apart from each other. 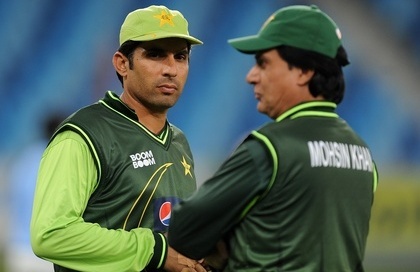 Mohsin was a flashy blade in Imran’s side & had a fine average in the high 30s in an era where bowlers were on top. Mohsin made a sluggish 70 in the 1983 world cup semi final in England against the great fearsome West Indies attack which is a reflection of his ability as an opener. Mohsin was a patriotic servant as many would know with the amount of times words such as “dignity” & “honour” have been said by him during interviews as interim coach. The 2nd leading run scorer in the team during the 1992 victorious world champions side with 2 centuries during the course of the competition. Raja scored 9 ODI centuries. Ramiz was very much an anchor sheet who liked to carry the innings through at his own pace, see off particular bowlers, last the duration & carried the bat on several occasions. Ramiz liked to keep the script simple as he would say in his own commentary language. He was the one who would take on the responsibility of batting deep into the innings & making the big score while others partnered him along the way. He was an effective component in Pakistan’s classical ODI batting strategy of being solid & watchful at the start, steady consolidation in the middle through preserving wickets & building partnerships before unleashing the mayhem in the latter stages. This is how the younger brother of Wasim went about his trade. Predominantly Raja was a legside player. His test record was less impressive with the inability to covert 50s into 100s being his downfall. Ramiz is now known to many as the voice of Pakistan cricket commentating almost everywhere they play. In the past he has been a chief selector & hosted his own TV programmes related to Pakistan Cricket. Ramiz was a former student of Aitchison College. Ramiz will always cherish the unforgettable moment when he was under that high ball at the MCG on 25th March 1992 where he successfully held on at long off from an Imran Khan slower delivery as Pakistan sealed the World Cup title. It was the moment when the whole country erupted in jubilation. Known for having exquisite timing & placement, strong hand eye coordination & a wide range of scoring shots all around the wagon wheel. Hafeez has always been blessed with talent & a reasonably okay technique, but his temperament has been found wanting with an inability to control his natural attacking instincts. Hafeez was often termed as a ‘domestic bully’ & international ‘tried and tested failure’, but to his credit he did not lose faith, confidence & kept working on his game. When Hafeez came back into the side during the one day international series in England in 2010 he looked a totally different player all together & his hidden talent finally began to show through at the top level. Hafeez scored over 1000 ODI runs in 2011 including 3 centuries, 5 half centuries & 10 MOM awards across all formats. Across all formats Hafeez was the 2nd leading run maker in the calendar year with 5 international centuries during a golden 2011 for the batting all-rounder who also got over 50 international wickets in the year & was the only player to play in all 34 international victories Pakistan had in a calendar year (an all-time record & most by a side that year) which was quite a contrast to 2010 which was unarguably the worst year in Pakistan Cricket on & off the field. Hafeez is a more than helpful source of advice in the field as he has known to be an intelligent player regularly passing on advice, suggestions & generally being an active thinker. Hafeez is a highly underrated nagging off spinner who bowls accurately & economically with consistency & a decent fielder. Not necessarily a top class opening batsmen although he has progressed drastically in recent times compared to before, but a useful utility cricketer when looking at the wider picture to make him a captain’s dream in shaping the balance of the side. The 3rd left hander in the list & the youngest of the Mohammad brothers. Sadiq averaged in the 30s & when considering the era he was playing in this was a pretty decent track record. You wouldn’t find a player who hated fielding as much as he did. Sadiq was less famous than his other brothers, Hanif & Mushtaq, but nonetheless he made it to the top level having his moments along the way making the Mohammad family the most famous & successful one in Pakistan’s Cricket history. An obdurate batsman who likes to greet the majority of his deliveries he faces by getting behind the line, covering the movement & presenting the full flat straight face of the blade, someone who likes to show the makers name out of the coaching manual. Azhar bats in a traditional mould of spending extended periods of time in the middle to price tag his wicket with utmost pride, hold an end down, play the supporting, waiting, patient, reliable, resilient 2nd fiddle roles when engaging in partnerships to gradually accumulate runs & grind out opposition attacks. 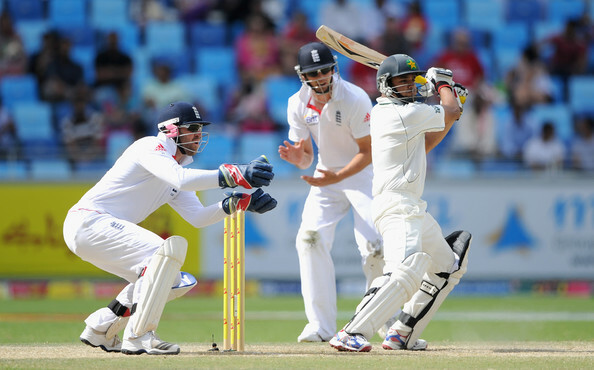 Azhar can be considered as a grafter, anchor sheet & blocker in terms of playing style. With consistent performances Azhar has impressively cemented his place as a stalwart at number 3 now that he has scored half centuries or more against all test playing nations barring India who he is yet to face. With his strengths lying in application, grit & a neat defensive technique Azhar has established himself as the glue which holds the Pakistan innings together providing the ingredients of stability, responsibility & dependability allowing the others to flourish around him. These traits are ones that have been lacked by young emerging Pakistan batsmen in the past who have been accused & guilty of excessive flashiness, ill disciplined stroke play & reckless flair. In both sets of 15 tests Pakistan played against Sri Lanka, New Zealand & England away from home. This is the difference Misbah has made to the fate of Pakistan Cricket in the format which matters most for the pure cricket fans & always will matter the most.